Running your own business can be exhilarating, challenging, satisfying, lucrative—and risky. Business insurance, also known as commercial insurance, doesn’t prevent risks from becoming reality but does provide a financial cushion. Savvy business owners get a business insurance quote because they recognize the importance of managing risk to stay in business. A customer may be injured while using your product or while on your premises. One of your drivers may have an accident with one of your business vehicles. Your office might be burglarized. If a loss occurs, your business assets are at risk. Depending on the legal structure of your business, your personal assets may be at risk as well. A commercial insurance quote will set you on the road to protection. Some kinds of commercial insurance are required by law or by contract. Others are optional but are a good idea, for the financial health of your business and for the well-being of your employees. All types allow you to safeguard your livelihood. An example of mandatory insurance is workers compensation, which is required by law if you have employees. If an employee is injured while working, this insurance covers the employee’s medical expenses and lost wages. Often a business enters into agreements that require insurance. For example, your business lease or loan may require you to get certain types of commercial insurance. Both the landlord and lender want you to stay in business so you can make lease and mortgage payments. Lastly, many business owners buy insurance for their employees. Providing health, disability, and life insurance helps attract and retain good employees. General liability insurance (also know as commercial liability insurance) covers the risks associated with lawsuits resulting from accidents and negligence. Bodily injury and property damage claims can be very expensive. The insurance covers this risk as well as the cost of your legal defense. An “all-risk” policy covers losses from all risks except those listed as exceptions in the policy. A “named-perils” policy covers losses resulting from risks specifically identified in the policy. Business auto insurance covers risks associated with employee travel, whether in a personal or company-owned vehicle. And Inland Marine policies have nothing to do with water, rather insures goods in transit. Many businesses have goods sitting in a company vehicle, at a job site, or in transit to customers. Make sure these goods are covered. If you service the property of others, you will want that covered as well. You can get one commercial insurance policy quote or quotes on separate policies covering specific types of risks such as product liability or professional liability. Generally speaking, the combined premiums on separate policies exceed the premium on one commercial policy, but the coverage differs. A business policy usually includes property, general liability, vehicle, and business interruption coverage, while separate policies are written to cover unique risks. A good insurance agent is critical. Use an agent who understands your business and the risks it faces. Use an agent who is familiar with the ins and outs of offerings from more than one reputable insurance company. The extent and costs of coverage vary according to policy provisions and from company to company. Some companies are better suited to insure particular types of business or may offer discounts applicable to your business. Spend time with your agent. Explain everything about your business so your agent can accurately identify risks. Revisit your business insurance as your business grows and changes. Our staff is well versed in all types of commercial insurance, and, as a local business, Krell Insurance provides much more. We know the local business climate and understand what kind of employee benefits are important to people in this community. 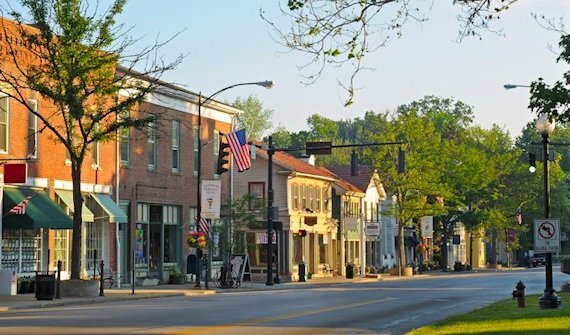 We have in-depth knowledge on the needs of particular businesses in the Verona area.